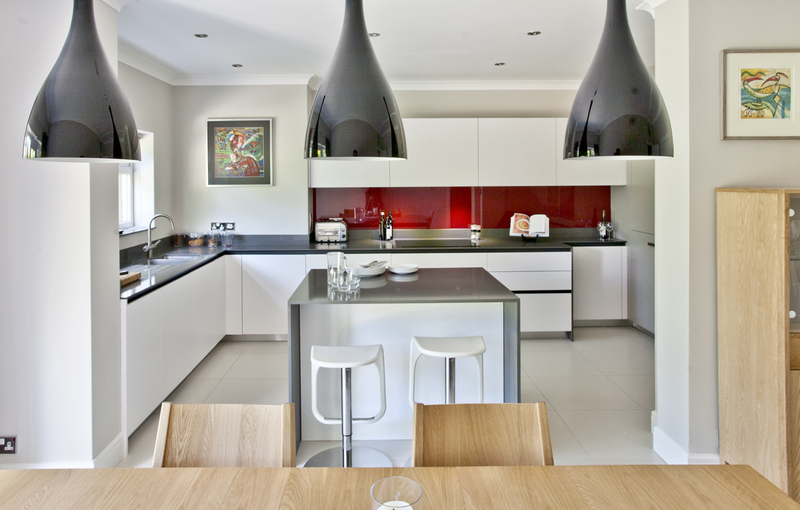 Splashes of colour can soften or add interest to a modern kitchen design. 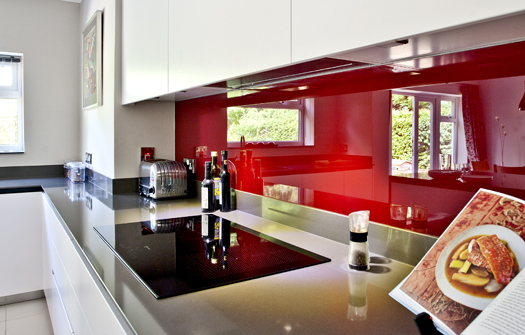 For this kitchen, we used a cherry red glass splashback to warm up a white and grey design to complement the surrounding contemporary home. 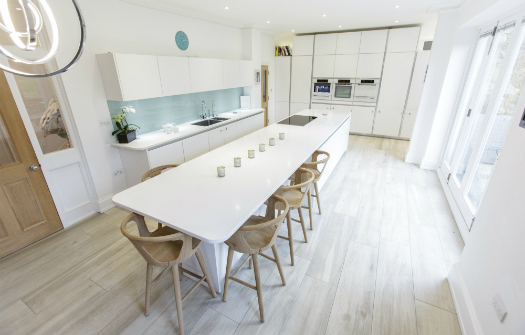 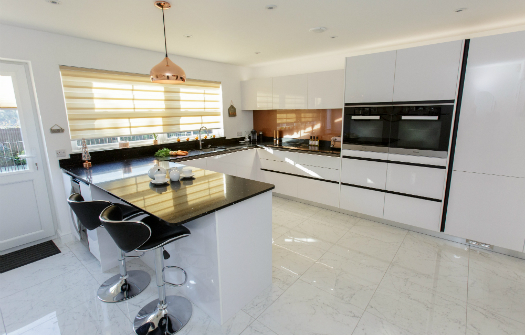 Modern white handleless units formed the backdrop to the design, and to make sure the look was not too start, we added grey worktops for the surfaces and island. The kitchen now fluidly flows from one zone to the dining area without either dominating the other. 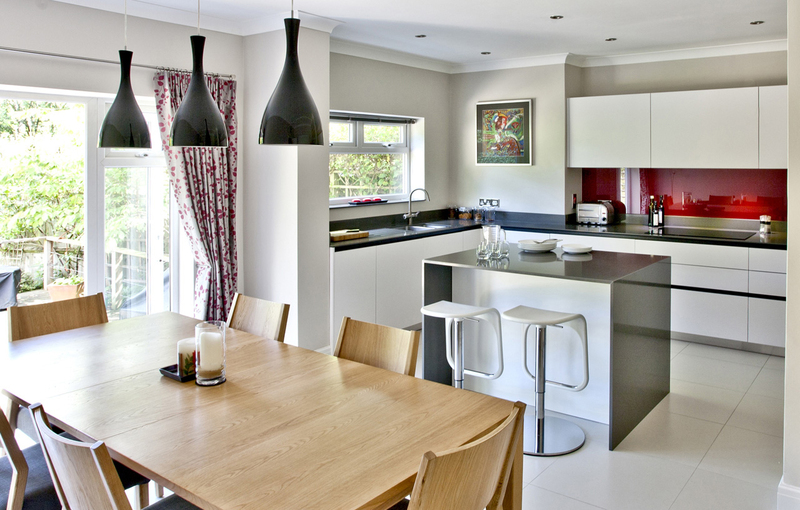 LED lighting in the ceiling and underneath the units provides task lighting without detracting from the statement pendant lights over the dining table. 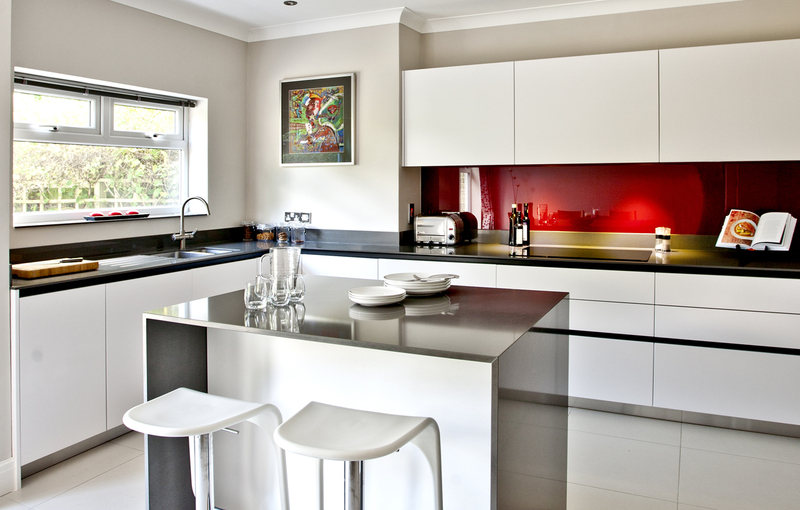 The homeowners have added subtle splashes of red in the furnishing to really connect the two spaces.